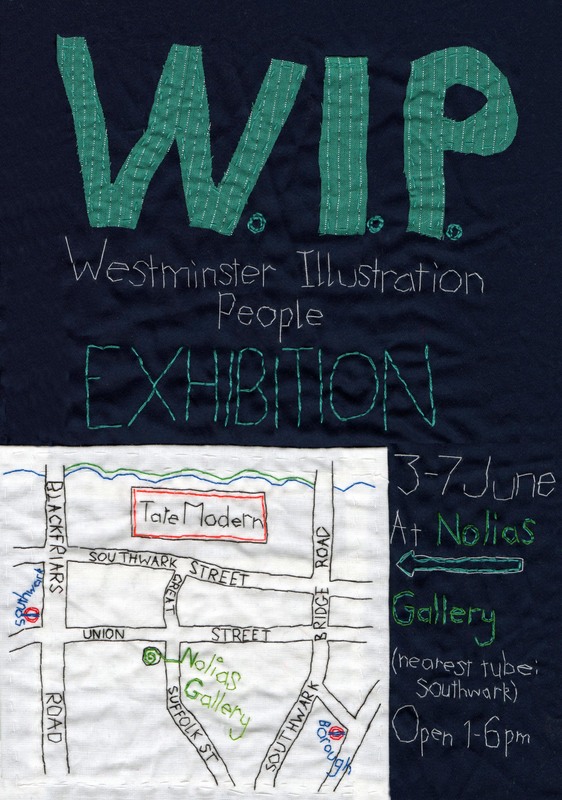 We have an exhibition at Nolias Gallery in Southwark at the start of June. Ailish who organised it asked everyone to design a flyer, so heres mine! Lurvely, did you use photoshop and put in the map from your massive one?